The second ever Music Month in Hastings and Rother is set to continue until the end of October, bringing great musical events to the region. The 46th Rye Arts Festival started on Saturday and continues until October 1, concentrating on the classical end of the musical spectrum. In Battle, the respected Battle Festival takes place throughout October, including a highlight performance from Mt Desolation, featuring Tim Rice-Oxley and Jesse Quin of Keane, on October 21, at St Mary’s Church, in Upper Lake. The De La Warr Pavilion in Bexhill has a great selection of gigs during Music Month, including Dweezil Zappa, Grizzly Bear, Public Service Broadcasting and Nick Mulvey. 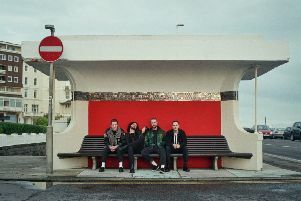 One of the organisers of Music Month Andy Gunton said: “Just because the summer season has ended doesn’t mean that Hastings and Rother isn’t still open for business, especially where musical entertainment is concerned. In Hastings, the White Rock Theatre plays host to Lulu on October 10, and American rockers WASP on October 12. St Mary In The Castle features a rare UK gig by Malian guitarist Habib Koite on October 22 before Hastings-based band Kid Kapichi launch their much anticipated EP at The Carlisle, supported by Nova Twins, on Saturday, September 30. For the younger listeners, the Brass Monkey, in Havelock Road, continue their Hastings Live 14 years and older gigs on Thursday evening throughout October. Voodoo Fest at The Palace, including the infamous procession through Hastings town centre, will wrap up Music Month on October 31. Councillor Kim Forward, deputy leader of Hastings Borough Council, said: “We are delighted to support Music Month. “It is exciting to see the wealth of talent in the town, and heartening to see so many local volunteers coordinating the events.